A successful brand forms because of several reasons like quality products, interactive marketing and proper customer service. Food delivet=ry startup Zomato seems to be a complete brand as it comprises of all. Zomato has the habit of being in controversies, recently a delivery oy was caught eating customer’s food and this raised multiple questions towards the food people are getting from this online delivery platforms. 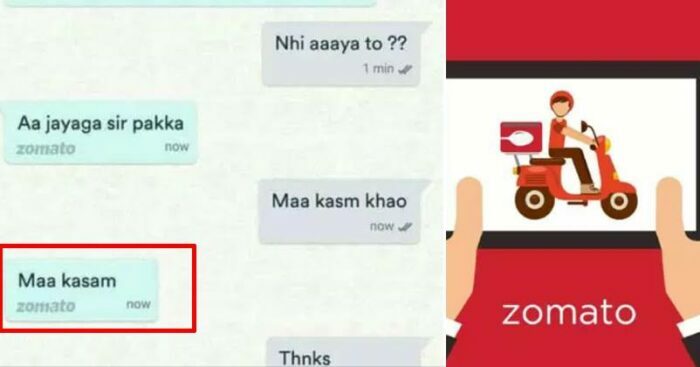 Also, Zomato is popular for its Moment Marketing and answering customer queries in a funny yet relatable way. If you do online shopping, there is a big chance that you faced a scenario where getting the refund of money became a waiting task. This happens to almost all the online companies and we guess Zomato knows the frustration we all face during the process. Hilarious, isn’t it? 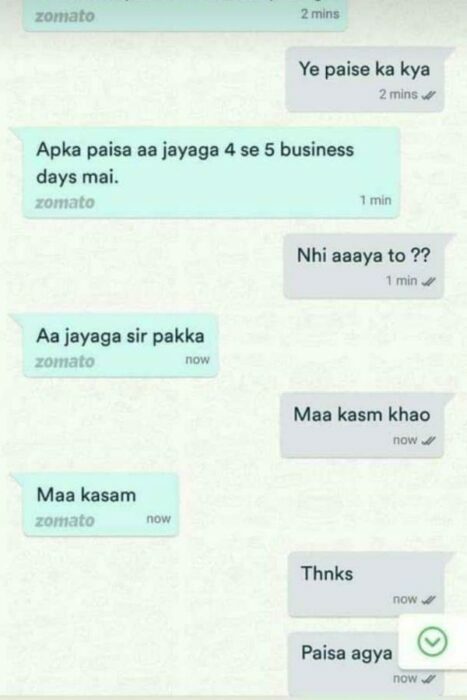 For those who don’t know, Zomato has done something similar thing in the past too when one of the representatives talked in Shudh Hindi to reply to a customer.